Looks like this will be my last weekly post. I had an appointment this morning and I'm 5cm dilated. Halfway there! If the girls don't come on their own, they are planning on inducing me Friday morning. They don't think it will take much to get things going. So my next post should have pictures of some BABIES! We are so excited to meet them! I had another check this morning. 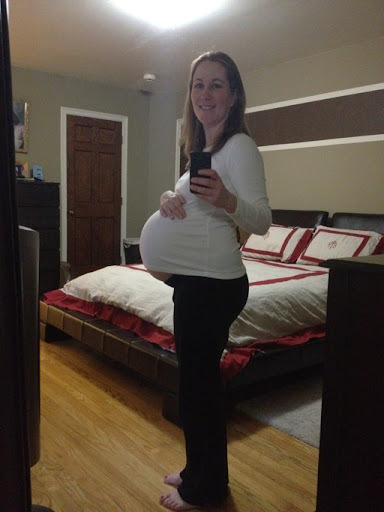 I'm 3-4cm and still 60% effaced. My uterus is measuring 43 weeks. She said she doesn't want me to go much past 38 weeks so if I make it to my appointment next Wednesday, she would start talking about an induction. I'd really rather not be induced. The good news is that my cervix is favorable for an induction so it would most likely be successful. However, I'd like my body to just be able to do its thing. She thinks that once this gets started, it will go rather quickly. I hope she's right about that. I had an appointment this morning. 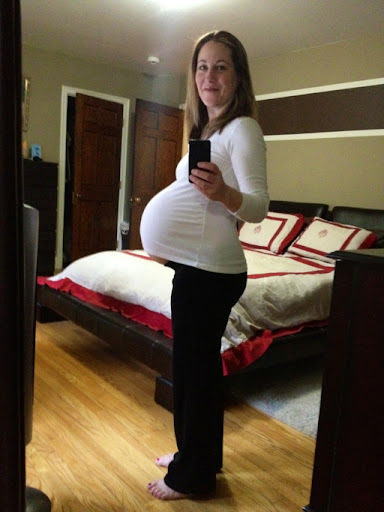 I am 2-3cm dilated and 60% effaced. 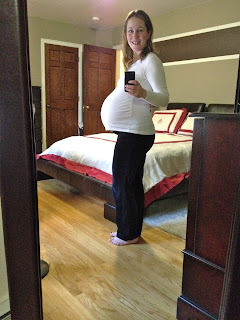 I could walk around like this for another 2 weeks or it could mean labor might be soon. She could feel Addyson's head so at least she won't be flipping on me! So now we sit and wait..... wonder what day the girls will pick for their birthday? ?